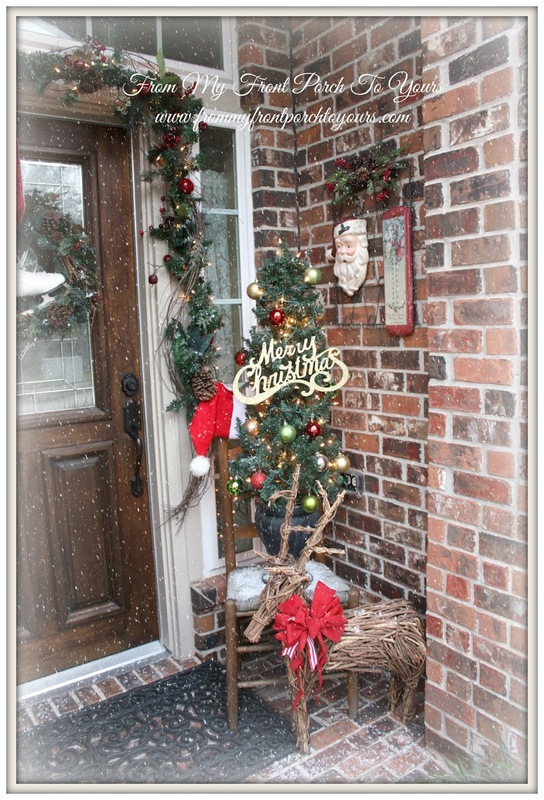 Welcome to our Christmas Front Porch. 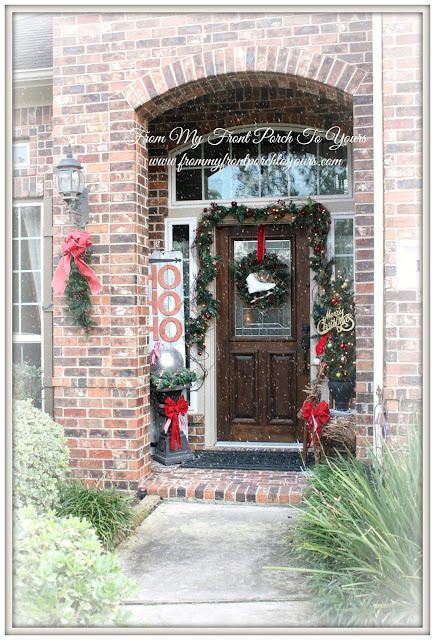 I have three more Christmas posts to share with y'all so be sure to come back by this week. I can not believe that Christmas is only 9 days away! 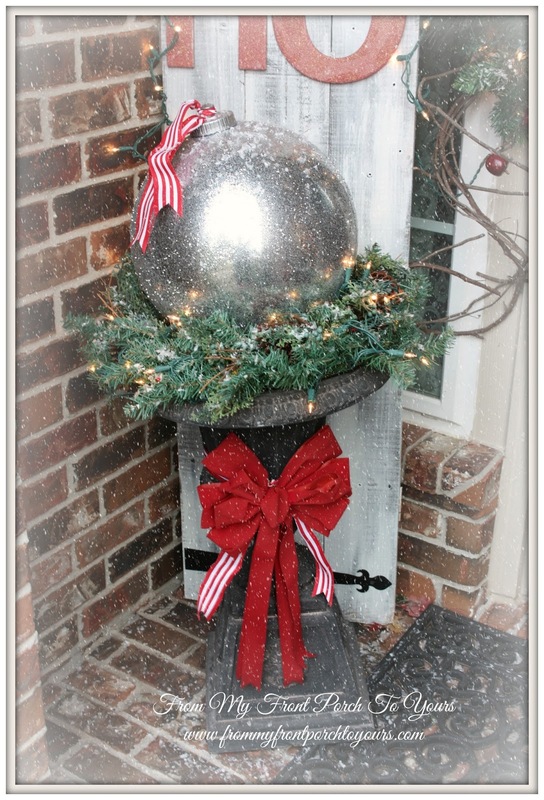 Pamela, your porch is so pretty! I love the large ornament in the urn! Can't wait to get back home and decorate. I am so far behind this year! Simply magical Pamela!!!! 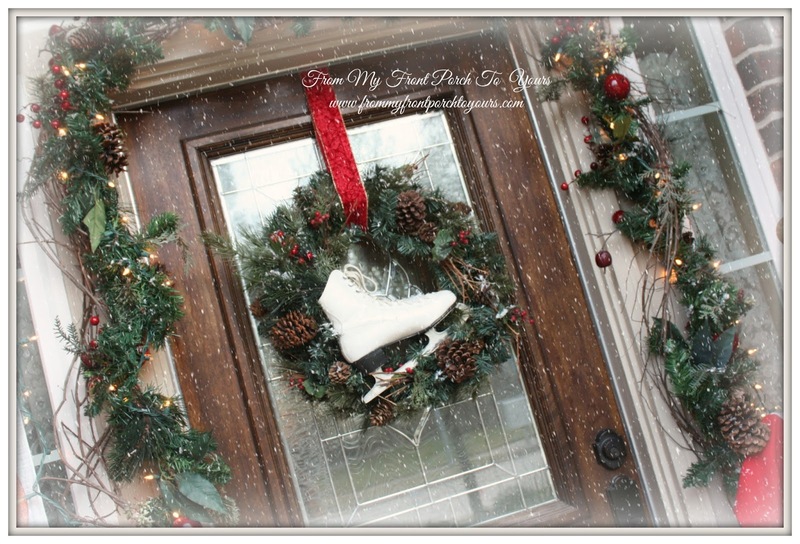 Love those skates on your wreath! I love your front porch. 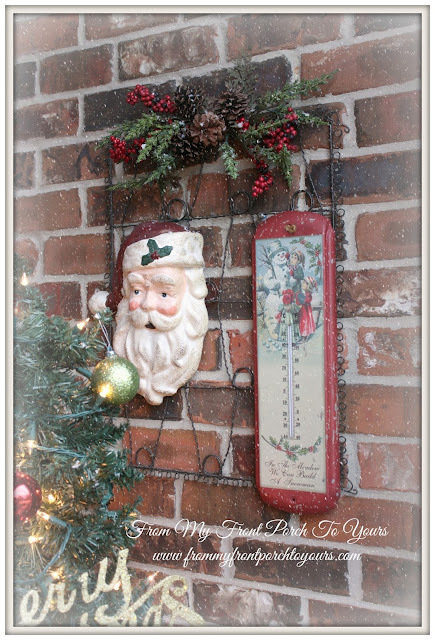 Love the vintage Christmas thermometer. Very pretty, Pamela! 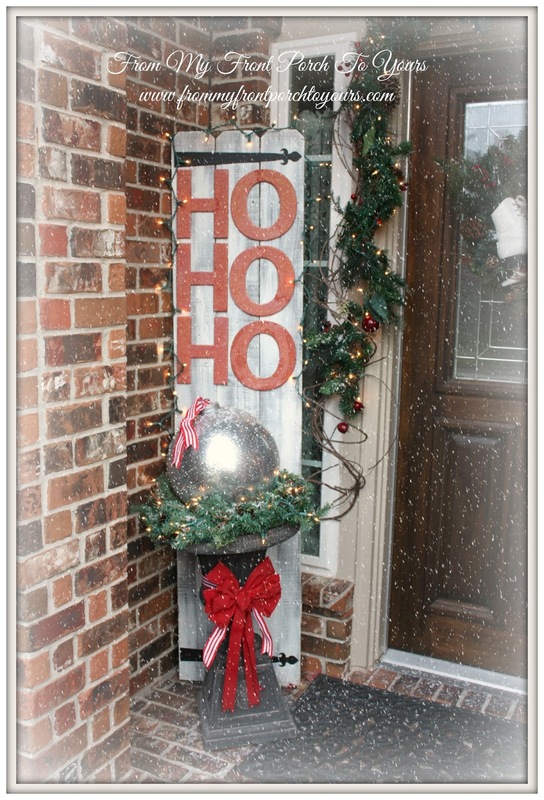 I love the Ho, Ho, Ho sign. Great use for that shutter. I've been pinning some of the Christmas signs to keep in mind for next year. 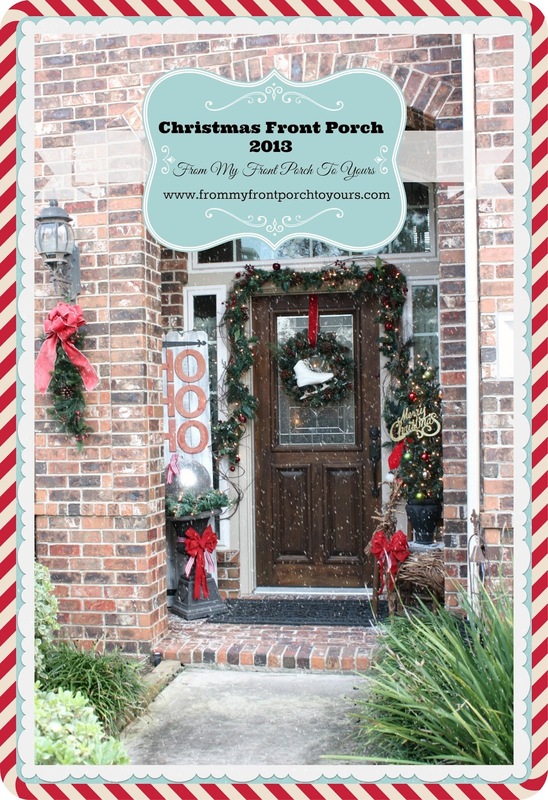 Love your Christmas porch! The sign is great! Pamela, your entire house is just absolutely glowing with holiday beauty! I just love your front porch! Your front porch is wonderful! I love your sign! I also loved the way you made your large Christmas ornaments! I'm off to pin some ideas! Your front porch is very festive and inviting.